I'm on a bit of a roll with masculine cards at the moment! 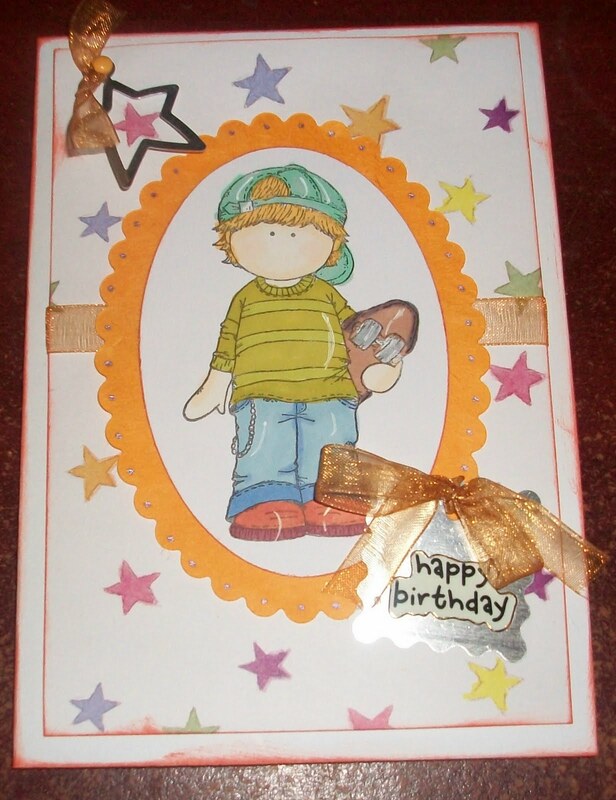 This cute Hanglar skater boy was teamed up with starry paper from the Forever friends range and a star shaped charm with brown voile ribbon. He is coloured with promarkers and highlighted with white gel pen. I'm desparetely trying not to buy any more crafting stuff until payday - avoiding visiting any craft shops or even the Range until the end of the month. I have so much papers to use up I cannot justify buying any more!!! Zooming off into the distance! Watch out for Tatty Teddys! I'm a bit of a Nitwit!